I am currently sitting in the Amsterdam airport, waiting for my flight to board, as we make the long flight home to San Francisco. 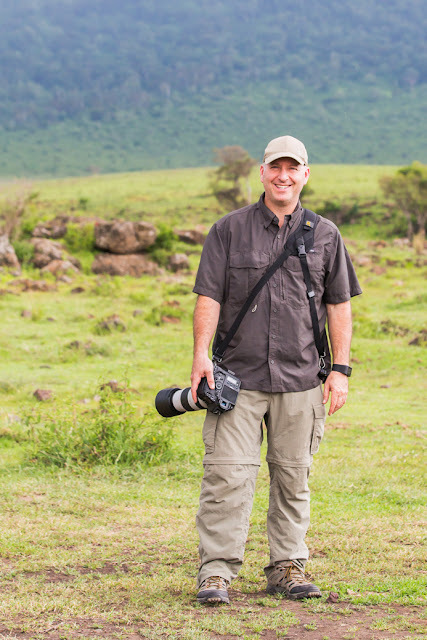 It has been an amazing couple of weeks in Tanzania, and I am excited to share the images and stories of this trip with you in upcoming blog posts. During our safari, I came up with a new acronym that I thought I would share with you all. The acronym is NASBIC (pronounced "NAZ BICK"). As we traveled with our photo group throughout Tanzania, there were many times when we came across an interesting scene, but for one reason or another, it was not photo worthy. At first, I would tell the people in our three Land Cruisers that it would interesting to watch but not worth shooting. And then I started repeating "Not a shot, but it's cool". After many days of repeating this, I shortened this and just said "NASBIC" and everyone knew what I was saying. Now...you might be wondering what makes an interesting scene not photo worthy. There were times when we would leave camp before sunrise and there was not enough light to capture a worthy photo. There were other times when our subject was in deep shade or hidden amongst distracting foliage. After seeing countless lions, we even got complacent enough to ignore groups of lions who were laying on their backs in the shade of trees. Interesting? Yes. But definitely not a shot, after we had seen so many other photos of active lions. We had a great time watching the migration of the wildebeest and zebra, but due to the combination of sun and shade, this was a NASBIC moment. 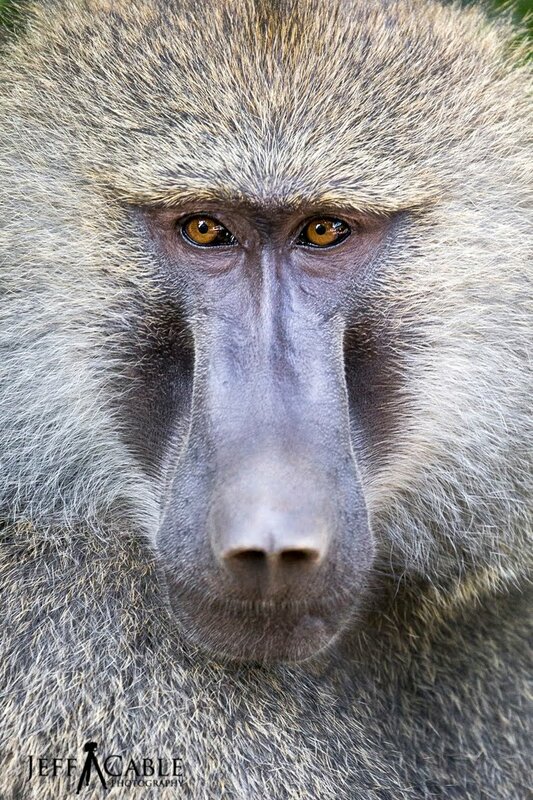 Here is a photo of a baboon in the Serengeti. What makes this a NASBIC moment was the fact that the animal and background were too similar in color. Since the baboon blends into the background so much, it is hard for the viewer to find the subject. 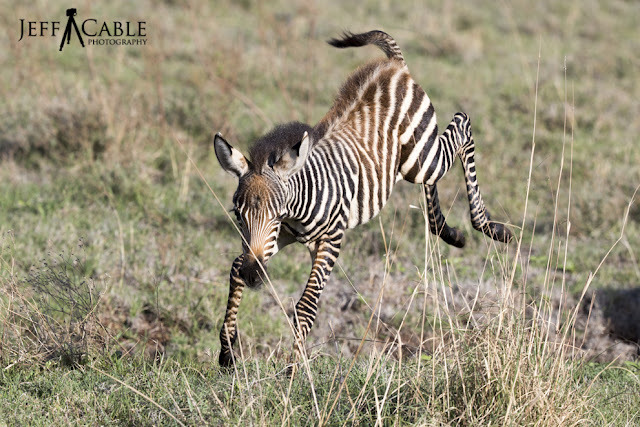 Here is a photo of a baby zebra who was jumping around and playing. I had a good time watching this activity, but there was a lot of brush in the way, which made it tough to get a clean shot. There were other times when the subject was just too far to get a decent photo. 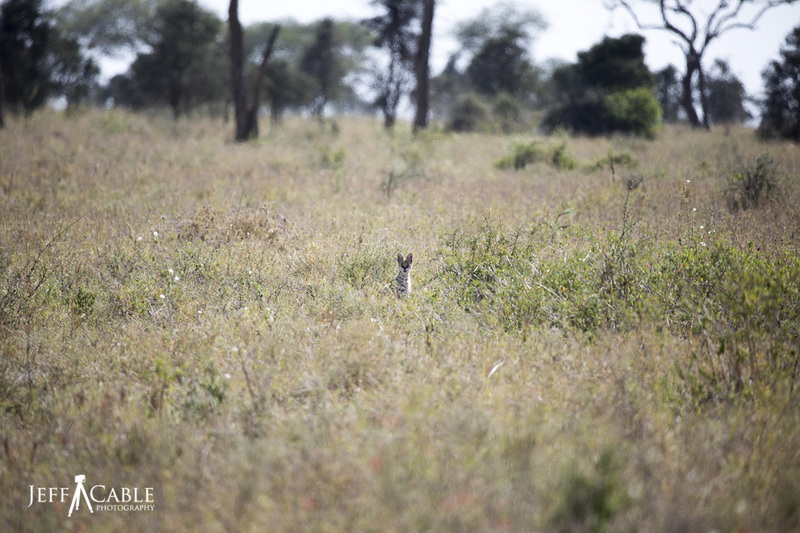 This example shows a Serval Cat that was really far from our vehicle. I took this photo at 560mm and it is still so small in the frame that the photo isn't really worth saving. Sure, I could crop way in on the photo (and I might), but it will not be a great shot. I think you get the idea now. There are just times in life when we come across something really interesting, but it can not be captured well in camera. Those are NASBIC moments. Photographing different things - Why do we have to specialize? If you are a photographer, it is likely that you specialize in one type of photography or another. And according to most of what I read in magazines and online, the industry experts tend to think that specializing in one form of photography or another is the way to go. I see it all the time, where influential photographers tell people to stick with one genre and not try to get too general with their photographic portfolios. Although I agree that photographers should fine tune their skills in once specific area (where they plan to make their living), I am an advocate for them, once they get good at one type of photography, to then go out and use their photographic passions in other types of photography. Them: "So...what type of photography do you do?" Me: "I photograph everything from the Olympics, bar mitzvahs, weddings, corporate events, portraits, landscapes, to wildlife." Them: (insert strange look here): "Huh? How can you do that?" Me: "I just love photography. I feel that if someone knows how to control a camera and understands light and composition, why can't they enjoy photographing just about anything?" I have friends, like Moose Peterson, who can take an amazing photo of a bison and then turn around and the next photo will be an awesome shot of a vintage warplane. Moose was an expert at wildlife photography first, and then studied, practiced and became an expert at photographing aircraft. He took the time to not only learn how to photograph his subjects, but he also takes an active interest in what and who he is photographing. Let me stop here for a second and make something really clear. I am not advocating that someone should start photographing everything under the sun without learning the basics. I am saying that, once you get good at shooting something like weddings, there is no reason why you can't be a great landscape photographer. Sure...the subjects are different, and the stress level is vastly different, but the fundamentals are the same. I can tell you that I get the same high when capturing a really nice landscape photo as I do when I capture an amazing Olympic moment. And for this reason, I encourage all of you to go out there and photograph whatever you want. Here are some of my favorite photos. You can see a pretty diverse collection of photos here. I hope this blog post has inspired you to go out and photograph something different! I am currently on the first of numerous flights on my way to Africa and thought I would take this down time to write a blog to explain my workflow when traveling. I get a lot of email messages from people asking for the best way to shoot images on vacation and manage them safely and efficiently. Well...this is my attempt to help you all out. With that said, I am not saying that my way is best for everyone, but this has worked well for me, so you can use this as a basic roadmap for you. First of all, let me start by explaining why photo workflow is so important during travels. If you are like me, you probably take a lot of photos when you are out and about. This means that you are likely filling a lot of memory cards (or your smart phone's memory) and need a way to store those photos and manage your storage. And even more importantly, you want to maximize your time so that you can be enjoying your time and not spending all your time dealing with your photos. 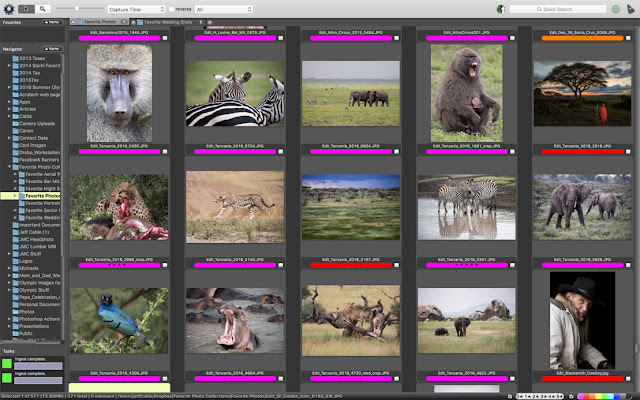 Regardless of whether you are on a trip to a nearby lake or traveling across the world to photograph an African safari, you want to make sure you come home with all your photos. As I travel around the world, I have a routine that I stick to pretty religiously. It all starts with the downloading process. Every time I get back to my hotel room (or in the case of Africa, our tent camps) from sightseeing, I download whatever images I took to my laptop computer. And yes, I take my MacBook Pro 15" everywhere with me. I always feel more secure knowing that the images are on my memory card and my computer. Either at that time, or later in the evening, I will start the culling process. Using Photo Mechanic, I go through all my photos and delete the photos that are either duplicates, out of focus or uninspiring. Once I do this, I am left with all my "keepers". I will then make a second pass and rank the images I like the best by color coding them. I like the color coding better than the star ranking, because I find it much easier to see my selections this way. If I have time, I will retouch a couple of my favorite photos. I usually want to retouch at least a couple of the photos to post to social media or just because I am excited about the photos and want to complete them. I do all my retouching in Adobe Photoshop, hence the reason why I carry my laptop with me everywhere. I never feel completely comfortable until my photos are backed up and safe, and for this reason, I always make it a point to back up my photos to at least two others drives before going to sleep. For this trip to Africa, I have brought along 2 Western Digital Passport Drives and a Lexar Portable SSD drive. This way I can back up all my photos and have an extra drive for others to use, if they want. When flying, I will put the drives in different bags, lessening the chance that I will lose all bags and drives. If I have a good Internet connection, I will also upload my favorite retouched photos to my Dropbox folder and my Drobo 810n server at the house. Once I know that I have my photos on at least 2 different drives, I am now comfortable enough to reformat my memory cards in preparation for the next day of photography. As I stated on the blog last month, I always format my memory cards in the camera I am using them in. In case you missed the blog about the proper care and maintenance of memory cards, you can find that here. After I have completed the previous day's workflow, I am ready to go and shoot more photos and do it all again! As I complete my trip, I like knowing that each day, I had already gone through my photos and I am going home with a good collection of "keepers". I don't need to cull through tens of thousands of photos at one time. If I have a long flight home, I will use that airplane time to retouch even more photos for eventual blogs, for prints, or just for my own satisfaction. I hope that this helps you plan for your next photographic trip, both in what to take with you, and how you capture, select and store your photos. We just added more trips for 2017, including Cuba, Australia, Uganda, Alaska and Japan. Check them out here and join me on an amazing photo tour! I will do my best to keep the blog posts coming in the next couple of weeks, but since the Internet isn't very good in Tanzania, it will be hit and miss. Stay tuned, as I promise share the experience with all of you! 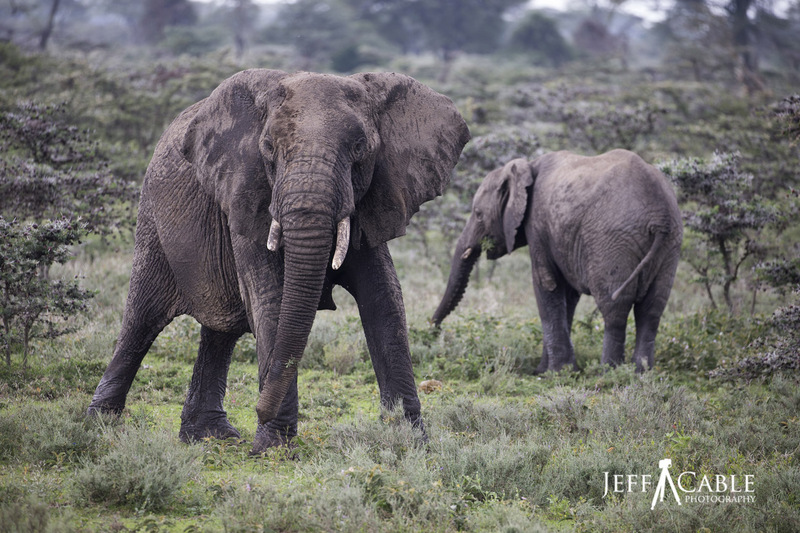 When I came back from our Tanzanian safari last year, I wrote a note to myself to write a blog post to help others prepare for a safari of their own. Not only to help with the photo equipment, but also to help with the clothing and other gear to take with you. 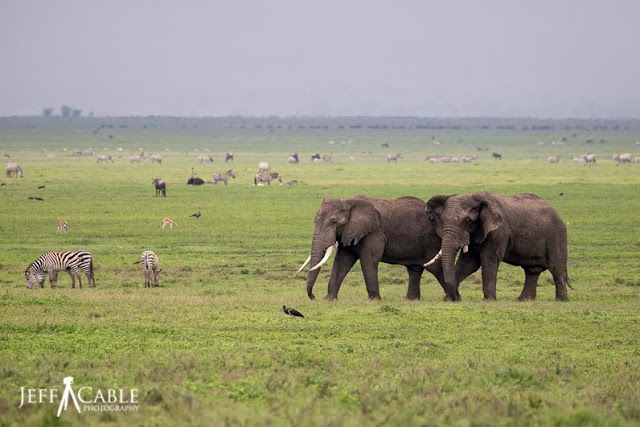 So...if you are lucky enough to be going on safari in the near future, and wondering what to take with you, I hope that this blog post helps you in that planning process. If you don't have a trip planned, check out our upcoming photos tours. Since I am a photographer and the camera equipment is probably more important than my clothing, I will start with that. 1. 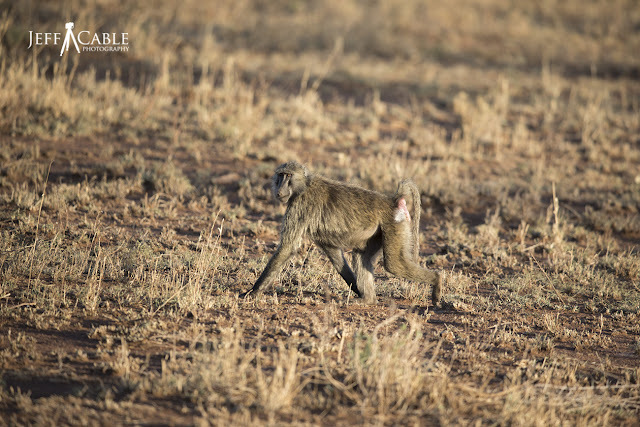 It can be dusty on safari and changing lenses is not a great idea, since the sensor of the camera can get very dirty. I like to keep on camera with a long lens and one with a wide lens. 2. You will want a backup camera just in case something were to happen to your primary DSLR. You would not want to be on your photographic trip of a lifetime and not be able to take great photos! If you do not own two DSLR cameras (which is probably the case), I would recommend renting the second camera to take with you. I just mentioned that I like to have one camera with a long lens and one with a wide lens. At which point, you might have been thinking "yeah well...what lenses do you recommend?" * The Canon 100-400mm II zoom lens. This lens is very sharp and gives me a great focal range for photographing wildlife near and far. There have been very few times when I needed more than 400mm on my full frame camera to get the shots I desired. Looking back at the photos from my last safari, most of them were captured at a range of 300mm. * The Canon 24-70mm II lens. For those people who have never been on a safari before, they most likely think that all the wildlife is very far from them, but this is hardly the case. There are many times when the animals are right up to your vehicle. For these times, it is great to have a wide lens available. And, of course, there are many majestic landscape photo opportunities that are best suited for a wide lens. * The Canon 16-35mm III lens for even wider photos. On my last safari, I used this lens for wide landscapes and sunset photos. * The Canon 1.4x Tele Converter. This adaptor can be added to the 100-400mm lens in those times when 400mm is just not enough. The 1.4x Tele Converter is small and easy to pack with you. * Laptop computer - When I shoot a lot of photos, I love getting back to my laptop to download and see what I got. I usually try to cull through the images to dispose of duplicate and reject images, and then rank my favorites. * Hard drives and SSDs - As soon as I have gone through all my images from the day, I back up those photos to 3 different hard drives or solid state drives (SSDs). This usually includes the built-in drive on the MacBook Pro 15" and two WD Passport drives and/or Lexar Portable SSDs. The Internet is not usually fast enough to upload favorites to a service like Dropbox, so you will need to rely on good backup drives on location. One I have these photos on 3 different drives, I am then OK to reformat my cards for the next day's shoot. * Extra batteries - I would recommend having two batteries for each camera you are taking with you. As I mentioned before, you will be shooting a lot of images and it is likely that one battery will not last you through the whole day. On our photo tours, each of our extended vehicles has power outlets in the vehicle, so it is not unusual for me to charge, my laptop, phone and batteries while we are out on safari. If not, make sure you recharge your batteries in the evening. * Flash - I bring one Canon flash unit with me, for those times when I want to fill flash my subjects, and for taking portraits of people. 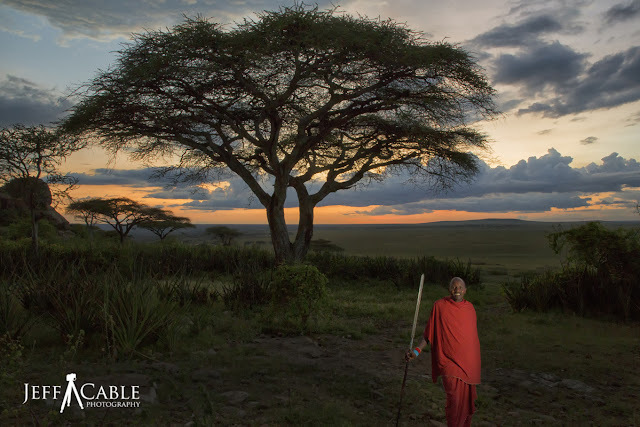 I used that flash in the photo above, to light the Masai tribesman. * Sensor cleaner - Earlier, when I was talking about having two cameras, I touched on the dirty sensor issue. Unless you never change a lens or add a tele converter on your trip, there is a good chance that your sensor can get dirty. For that reason, I bring a Visible Dust sensor cleaner with me and, if need be, clean the cameras inside my tent. Note: Do NOT change lenses on your cameras with the camera facing up. I switch lenses as quick as I can, and always keep the camera facing down so the dust will not fall into the exposed lens opening. * Filters - I have the Tiffen HT UV filters in front of all my lenses, mainly to protect them. The reason I use the HT filters is that they are super clear. I don't want to put bad glass in front of a great lens! The other filter that I bring on safari is the Tiffen Circular Polarizing Filter for use during my landscape and water shots. It is the one filter that is difficult to "fake" in programs like Photoshop. * Camera backpack - I bring all of my camera equipment in one large photo backpack. My choice is the ThinkTank StreetWalker HardDrive. I love this backpack because it holds my camera gear, my 15" MacBook Pro, wallet, passport and more. * Tripod - I did not use my Gitzo travel tripod all that often on my last trip to Africa, but I did use it a couple of times to take night shots. I also used my tripod for long exposures at the hippo pond. I use this tripod and the Acratech ball head. * Camera strap - I never go anywhere without my BlackRapid camera strap. The strap is not all that necessary when you are in the vehicle (which is the bulk of the time) but very handy when you are walking around. 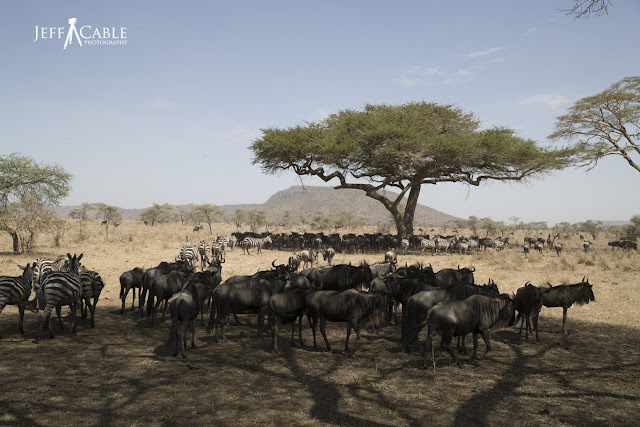 On our last photo tour, we had times when we visited a Masai village, walked through town, or hiked through the plains. * Two pair of shoes - I pack two pair since you may end up with a pair that get soaked or muddy and need a dry pair. I also like to leave a pair in Africa for the people who don't have good shoes. If you have a Bass Pro Shop anywhere near you, I would recommend visiting that store for good quality and inexpensive clothing options. * Noise cancelling headphones - I love these for long flights! * Melatonin - this helps me sleep better and adjust to new time zones. I prefer the gummy versions. * Cash - In Tanzania specifically, they take American currency and cash is king. I would take at least $300 in cash with you. * International cell plan - If you are planning on using your mobile phone on your trip, check with your cellular carrier to get an International plan for voice, text and data. If you are lucky enough to be taking a safari any time soon, I hope this helps you pack better, and get great photos to remember the trip! Once again, if you are interested in going with me on one of our photo tours, you can find information on the upcoming trips here.